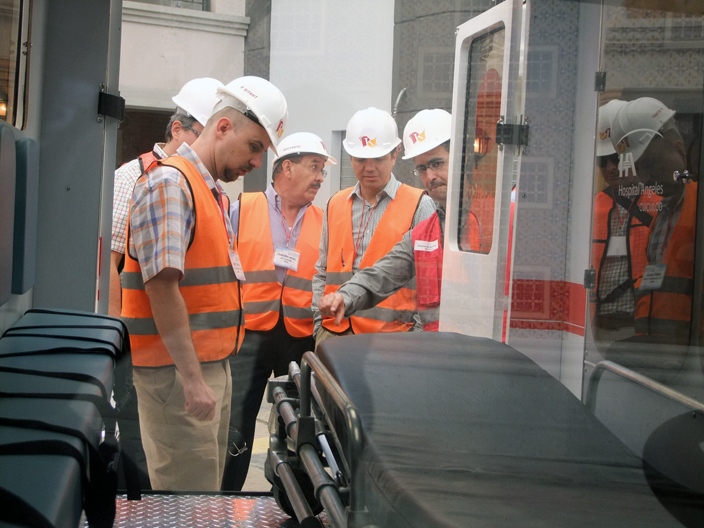 More than 50 IAAPA-Latin America Members Visit KidZania Cuicuilco! Mexico City, Mexico. KidZania Journal. March 14, 2012. (English). Yesterday, more than 50 C-level executives and owners of the top entertainment corporations in Latin America visited KidZania Cuicuilco, as part of the Latin American Networking Event organized in Mexico City by the International Association of Amusement Parks and Attractions (IAAPA). The leisure industry representatives arrived at 10am to KidZania Cuicuilco’s theater, where Xavier López Ancona, President of KidZania, introduced the concept behind this new, highly innovative theme park. Attendees learned about the many dimensions of the facility, its current development status and how the park’s innovative career based activities and model of environmental and social stewardship will prepare kids for their role in creating a better world. Shortly after the presentation, with the support of KidZania executives and collaborators, visitors were invited to explore the new facility first-hand, experience the establishments and sample activities from the more than 120 careers that will be offered to children when KidZania Cuicuilco opens later this spring. Following the extensive tour, the Latin American representatives were taken to one of KidZania Cuicuilco’s Food and Beverage outlets, where they were able to sample the fresh local ingredients and good for you choices that will be offered as part of this revolutionary theme parks focus on helping kids learn the importance of caring for self. This was the first formal tour of the facility dedicated to members of the leisure industry and it was received with great enthusiasm. 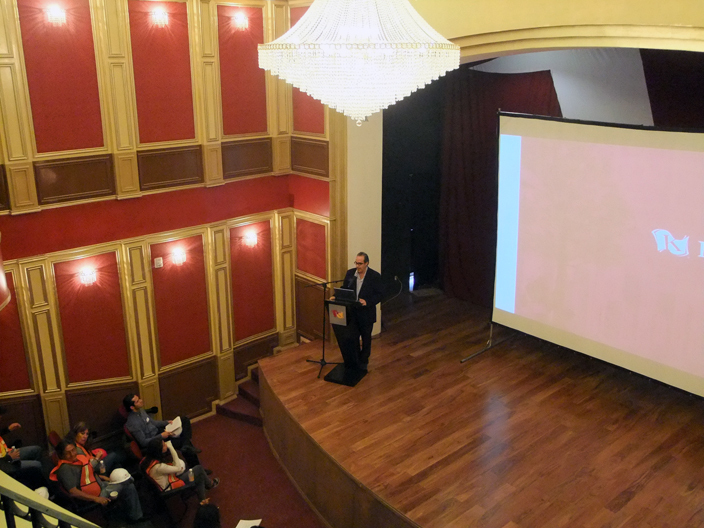 Mr. Xavier López, President of KidZania, introduced the concept to the attendees at KidZania Cuicuilco's theater. C-level executives and owners of the top leisure corporations in Latin America, walked through KidZania Cuicuilco's streets and plazas during the visit.